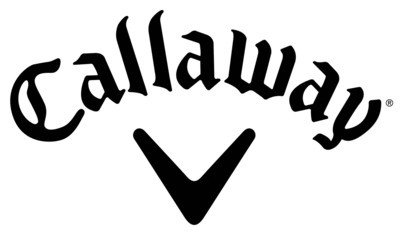 CARLSBAD, Calif., Jan. 3, 2018 /PRNewswire/ -- Callaway Golf Company (NYSE: ELY) announced today that Xander Schauffele, a rising star on the PGA Tour, has joined its professional staff. He will play Callaway woods, irons and wedges, an Odyssey Putter, and a Callaway Chrome Soft ball. "I'm honored to be a part of the Callaway team," said Schauffele. "I'm focused on taking my game to a new level, and having the right equipment plays a big part in that. I've been so impressed with how Callaway clubs have performed for me, from the first time I started testing them during the offseason, and I've been using an Odyssey putter for years. So this really was a natural transition, and I'm really confident in how their equipment will help improve every part of my game." The 24-year-old Schauffele won PGA Rookie of The Year honors last season, highlighted by his victories at the Tour Championship and Greenbrier Classic, and his T5 finish at the U.S. Open. He also finished 3rd in the FedExCup Playoff standings while averaging 306.8 yards per drive on the year. And he's already moved up to 25th in the world golf rankings. Schauffele turned professional in 2015 and earned his 2016-17 PGA Tour card through the Web.com Finals. Prior to turning pro, he won 3 collegiate events while attending San Diego State, as well as the 2014 California State Amateur Championship, and was ranked in the top-10 of the world amateur rankings. "Xander is one of the most exciting young players in the game," said Callaway SVP of Global Sports Marketing Tim Reed. "We know he's going to do great things with our equipment, and we look forward to being there with him every step of the way." Schauffele joins an impressive class of new Callaway signings that already includes 2017 Masters Champion Sergio Garcia, among others yet to be announced. He also joins a roster that features major champions like Phil Mickelson and Henrik Stenson, and a stable of exciting young Tour professionals including Daniel Berger, Adam Hadwin, Wesley Bryan, Ollie Schniederjans, Aaron Wise, Branden Grace, Thomas Pieters, Michelle Wie, Patrick Rodgers, Emiliano Grillo, Lee McCoy, Sam Burns, Curtis Luck and Maverick McNealy.